One of the by-products of growth and success is an increase in complexity in your business and life. This complexity eventually puts an artificial ceiling on your growth and you feel stuck or like you hit a wall. You are unable to move to your next stage of growth. In an effort to break through to the next level you fall back on what got you this far, hard work. You work harder and put in additional hours. Unfortunately, your time doesn’t scale. This leaves you exhausted, overwhelmed and feeling burned out. You are no longer confident you know how to break through to the next level. To move forward, we first need to take a quick look back and see how you got here. A common way for a small business to start out is with one person–YOU. Maybe, if you were optimistic, you might have even started with a support person. You had a simple vision to provide a great product or service, while making enough money to live. From a management perspective your business was simple to manage: little or no staff; only a handful of client relationships; and you made all of the decisions. Simple and straightforward. Eventually, you had enough business to add one or more employees. New people were added randomly and layered on, one at a time, to handle the additional work load. People were added as a reaction to the stress of trying to keep up, rather than based on any type of strategic plan. They were hired because they already had “experience” doing the type of work you were hiring them for. You now have a staff of employees all doing things their own, unique way. Sound familiar? When you have multiple clients and multiple people on your team, complexity increases exponentially. Your span of control and influence begins to exceed your comfort zone. At times you feel the business is “out of control”. At this point you will often take back some of the work or involve yourself in the work, just so you feel more in control. You are working harder and longer hours than everyone else and maintaining your workload is a real challenge. It is hard to scale when too much of the business depends on you; therefore it is hard to get to the next level. Sadly, you begin to question whether you really want to grow any larger. To Scale or Not to Scale…What Is Next For You? On one hand you’re thinking about how you can get your business back to be being simple again; and on the other hand you’re thinking about how to scale and move your business to the next level. What is next for you? Are you going to scale and grow or contract back to a smaller, simpler version of your business? What if you could scale and simplify your business at the same time? Wouldn’t that be ideal? I think you can if you add just one missing ingredient to your business. One of the big weaknesses of most small businesses is they are missing documented systems. Yes, the path to your next level requires you to focus more of your time on strategic areas of your business like planning, marketing, team building, and profitability. Obviously, these are all important areas that require your attention in order to move forward. Additionally, we have found if you also focus on business systematization you can scale and simplify your business. Systems will free up more of your time to do the strategic work of growing your business. 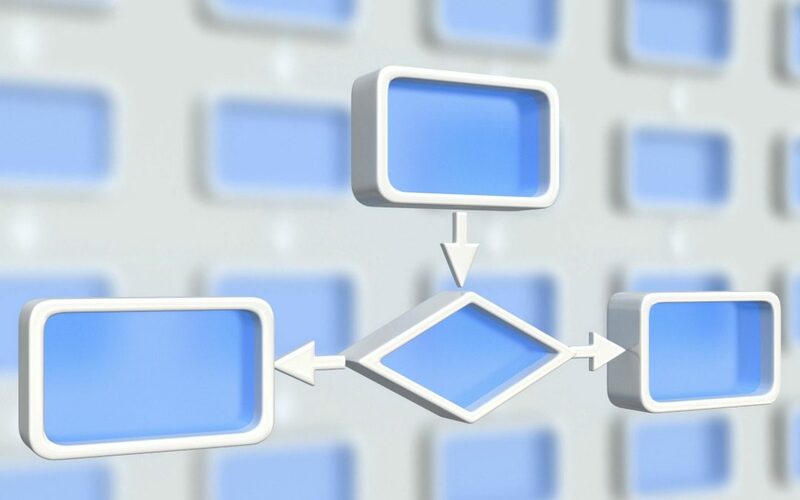 Systems are documented procedures for getting everything done in your business. They are fundamental elements required to ensure all key areas of your business are working the way you intended. Systems are the way you do what you do in your business – from serving your clients to how you pay your bills. They are the steps, standards and accountabilities required to get things done. Replicate your successes and maximize the firms’ effectiveness and productivity. Systems are the solution to many of your challenges. Documenting how the most important work of your business gets done is the antidote to complexity. Adding systems to your business is the way to both simplify and scale your business. You can actually build your scalable business one key system at a time. The way to do that is to think of the business you are building as one big system, comprised of many smaller systems and sub-systems. A good analogy is the human body, which is a complex system comprised of multiple smaller systems like: the nervous system, respiratory system, circulatory system, etc. Your overall health depends on how well each one of your body’s systems is working. Similarly, the health of your business is dependent on how well your business systems are working. Strategic systematization is your process for identifying all of your key systems, and then designing and documenting each one. You will want to systematize all of the key functions of your business: leadership, management, marketing, service, finance, lead generation and lead conversion. Systematizing your business is no quick or easy. For that reason, many small businesses won’t take the time to put systems in place. Sure they agree it is a great idea (like working out and eating right) but most never make it a priority. However, making strategic systematization a priority in your business will help you overcome many challenges of growth. Systems will allow you to have a life outside the business and still maintain the quality you have set for the business, even as you add new employees. Systems are the secret to growing your business to its next level of success. If you need help systematizing your business contact me through LinkedIn and let’s discuss how you can move to the next level by strategically systematizing your business.